The first step to the 6-12 month maintenance process is to clean the monument with Windex. Liberally spray the Windex over the entire polished area of your monument. Wipe clean using circular motions and don’t be afraid to apply pressure if necessary to clear the polished area of all dirt and debris. If you find that there is tree sap or something else which is not coming off of the monument, carefully use the razor blade to scrape of the substance. Although you do need to be careful not to cut yourself, the razor blade, if used correctly, will not damage the granite. Once you are sure the monument is free of dirt and grass, it is time to refresh your highlight. First, place several small dots of the ink on the area of the laser etching. You will notice that a little goes a long way when it comes to the highlight. For a 24″ x 12″ Flush Marker with a full laser etched scene, it will take no more than a nickel size dot of ink to cover the full laser etching. Once you have the ink on the stone, use your cloth to begin rubbing the highlight into the etched areas in small circular motions. You will immediately see a difference in the brightness of your laser etching. Once all of the laser etchings have been covered, use the cloth to wipe the excess ink off. After you have removed all of the excess, throw away the cloth. DO NOT ATTEMPT TO WASH THE INK OUT OF THE WASHCLOTHS. So long as you follow these instructions and consistently maintain your monument, you will be able to enjoy the laser etched monument for years and years to come. 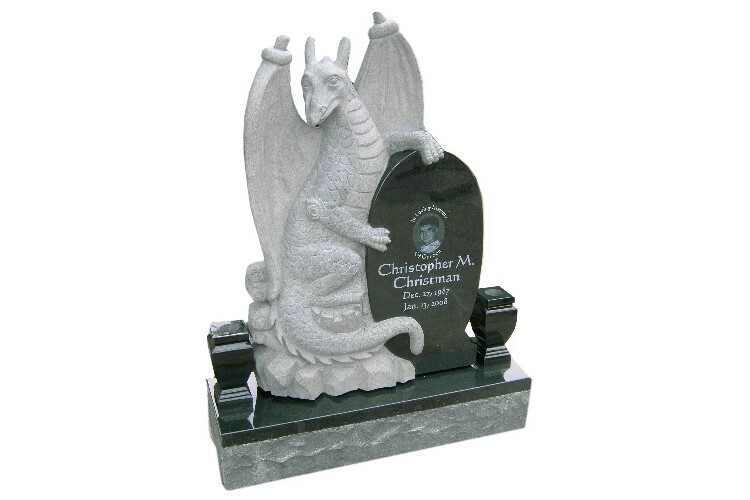 Generations through the years will be able to appreciate the beautiful and unique monument you designed for your loved one(s) and that is our goal here at Mike’s Laser Etching/Sartin Memorials. If you are interested in learning more about our custom laser etched monuments and tiles, call us today at 877-836-0332 or email our sales team at sara@mikeslaseretching.com. Question Of The Week: Why does Mike’s Laser Etching & Sartin Memorials employ Graphic Artists, but other monument companies do not? Why does Mike’s Laser Etching & Sartin Memorials employ Graphic Artists, but other monument companies do not? If you have worked with several different monument companies in an attempt to find the monument you want, at the price you are willing to pay, you may have noticed that Mike’s Laser Etching & Sartin Memorials does things a little differently when it comes to the design aspect of the monuments. Typically, when you contact a monument dealer, whether online or at an office local to you, you will speak with an owner or a sales representative. They will ask you to provide the details of the desired monument and will use these details to create what we call a “preview” of what the final product will look like. Some companies simply provide a hand drawn sketch, while others may provide a digital preview, which has been created on a computer. When he first became the owner of Mike’s Laser Etching & Sartin Memorials, Mike Walter would provide his clients with a hand drawn sketch of the monument. This process worked well enough and allowed him to confirm with the client that the placement and spelling on the final monument were correct. However, as the years went by and he began to invest in more advanced systems, he found that the hand drawn sketches were no longer allowing the client to see what the company was now capable of creating. With thousands upon thousands of laser etched designs, drawing a rough sketch just didn’t work. Not only that, but it was around this time that he also began to offer his monuments to clients who were out of state. A hand drawn sketch was just not possible with these clients. Initially, when Mike began to search for a Graphic Artist, it was his intent to have them create a digital preview of the monument, using the information provided by the client. Although most monument dealers cannot justify hiring a Graphic Artist and paying their salary, Mike knew that it would be worth it in the long run. When Mike hired Heather, her job was to simply create the preview for the clients, making any changes necessary. This not only allowed for a much more accurate preview of the final monument design, it also allowed clients to easily share the design with their friends and family. This is what Mike had hoped for when he hired a Graphic Artist. However, once Heather began working with Mike, she took the design aspect to a whole new level, much more than Mike had ever thought possible. An example of a preview. Today, Heather is the Senior Graphic Artist at Mike’s Laser Etching and there are currently two other Graphic Artists employed as well. 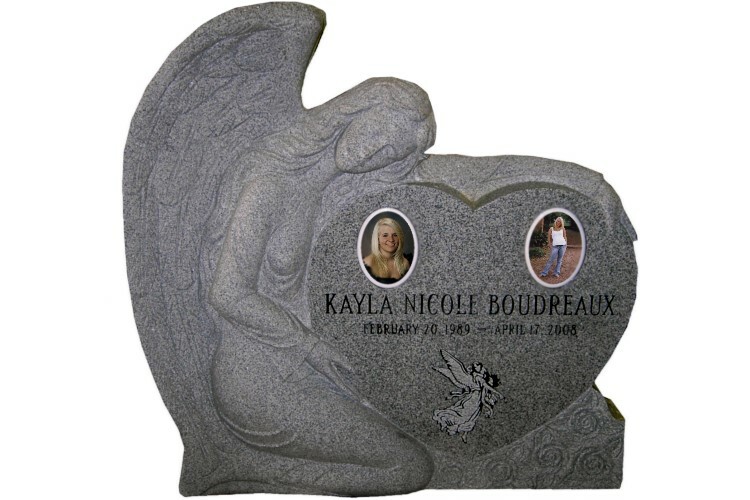 Not only do the Graphic Artist’s create the monument previews for clients, they also offer custom designed monuments and custom laser etched designs with the purchase of a monument. Because Mike works with granite wholesalers overseas, he is able to take a digital monument design-made the exact size, shape and color specified by the client- and forward it the wholesaler to be created. Although these custom monuments may take longer to be completed than a monument that is currently in stock, the cost does not increase. 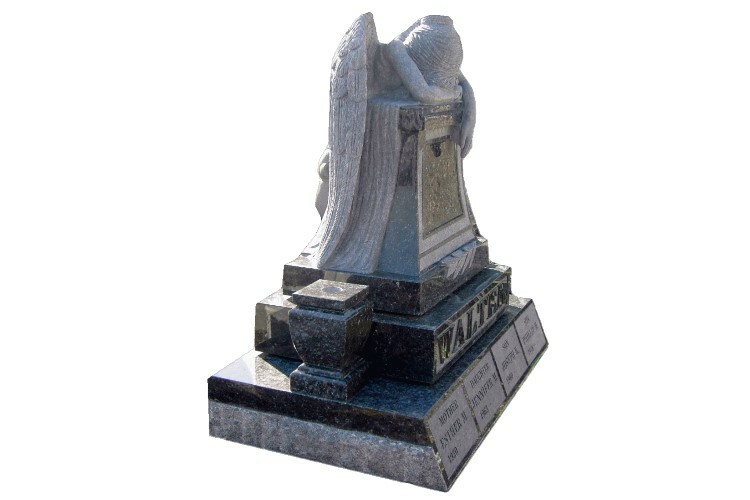 All of the monuments offered by Mike’s Laser Etching & Sartin Memorials are shipped to the main office in Delaware directly from the granite wholesaler. This essentially “cuts out the middle man”, allowing a lower overhead, which in turn allows us to offer a lower price to our clients. This is the same for both in stock monuments and custom ordered monuments. 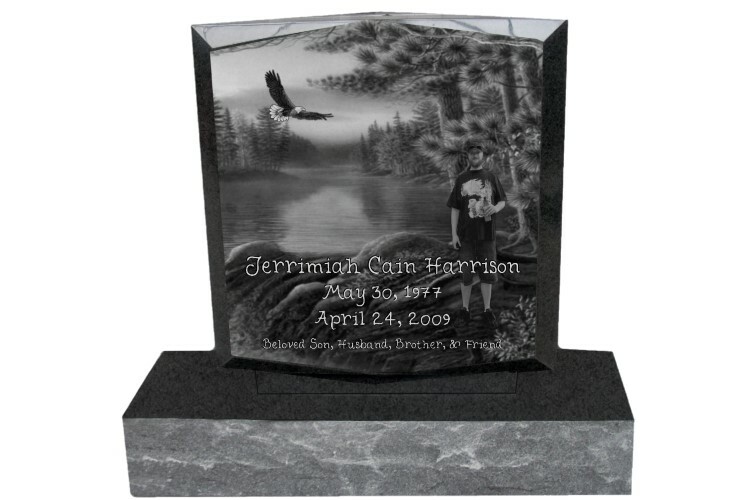 If a client contacts us and would like a custom design on their monument, there is no additional cost. This is completely due to the fact that we have Graphic Artists on staff. Typically when ordering from a monument dealer, if a client would like a custom design, the monument dealer must contact an outside company to have the design created. Therefore, the client would then have to pay for the creation of the design. This is not necessary at Mike’s Laser Etching & Sartin Memorials. 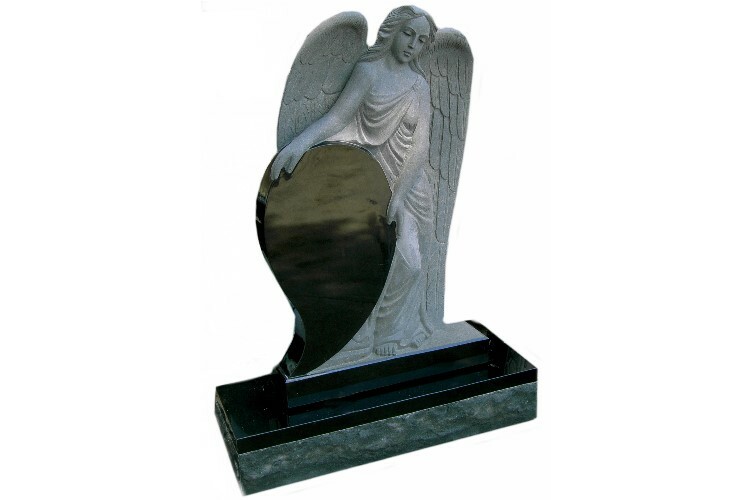 Whether the client is purchasing a standard flush marker (24″ x 12″) or a large upright monument, the design is typically included in the purchase price of the monument. We have had clients request a large variety of custom designs, which our Graphic Artists have not only created, but have enjoyed creating, as Graphic Design is their passion. Whether it is creating an entire landscape scene, using only a few specific details, or taking a photograph of a person and placing them somewhere completely different, doing something they were not originally doing, we can do it all. If you can imagine it, Mike’s Laser Etching & Sartin Memorials can create it! An example of our Preview Approval Form, which must be signed by the client prior to the laser etching or sandblasting of the monument. 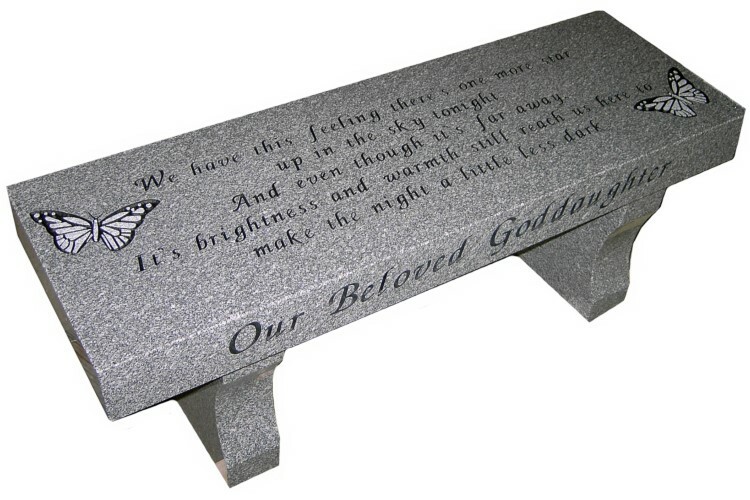 Here at Mike’s Laser Etching & Sartin Memorials, we take pride in offering our clients unique, beautiful, high quality memorials for their loved ones, at affordable prices. We know that our clients are grieving and we do everything in our power to make the process of creating a memorial as easy as possible. We take pride in our products and work diligently to ensure that every client is 100% satisfied with not only their monument, but with the service they received from us as well. Visit our website http://www.mikeslaseretching.com to browse our inventory, see examples of our custom orders and to learn more about the laser etching and sandblasting processes. Give us a call at 877-836-0332 or send us an email at info@mlestones.com to get started today! We have some great news for all of our current and future clients! From now on, an image of all completed monuments will be posted on our blog! A link to the blog post will also be posted on our Mike’s Laser Etching Facebook. If you have liked us on Facebook, we will tag you in the post. This will allow you to share the Facebook post featuring the link to the blog with your friends and family, making it easier to share the completed monument with your loved ones! In addition to the links to your completed monument, upon “Liking” our Facebook, you will also see any discounts or online promotions we are offering! Question of the Week: What is the difference between Laser Etching & Sandblasting? Prior to any designs being sandblasted or laser etched onto a monument, the front and back of a monument is typically polished. There are some exceptions to this, such as when the back of a monument is rock pitched (not smooth). The sides of the monuments may or may not be polished, depending on the desired effect. However, any area on which a design or lettering is to be placed must first be polished. Polishing the granite creates a dark and shiny effect. The areas which are not polished look much lighter and dull when compared to the polished areas. The granite being polished allows for a much higher contrast once designs and lettering are sandblasted and/or laser etched into the surface. Sandblasting is the operation of forcibly propelling a stream of fine sand against the surface of the granite under high pressure. This process removes the polished layer of the granite to reveal the unpolished granite underneath. When sandblasting, the lettering and designs are first all blasted to the same depth by a machine. In order to sandblast a monument, it must first be designed by a graphic artist. 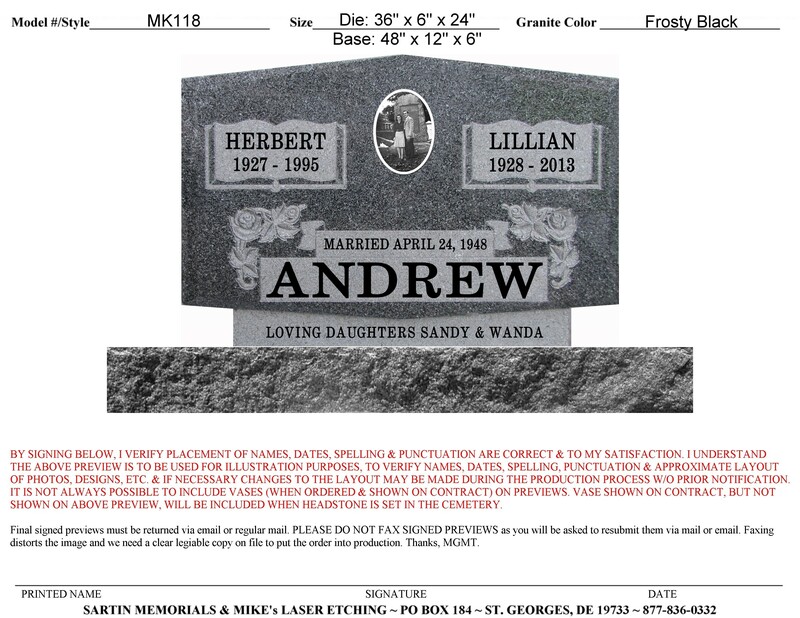 The artist will use vector software such as Monucad to create a file containing the lettering and designs that will be sandblasted onto the headstone. Only simple lettering and designs, often referred to as Line Art, can be sandblasted, as it is not possible to create small details using this method. Photos cannot be sandblasted. In order to get the design and lettering needed, they are first cut into a rubber “mat”. This process can be done by hand or by machine. Here at Mike’s Laser Etching, we currently use our Vytek LSTAR Laser to cut the mats in a step we call Vector Cutting. The design and lettering must then be handpicked from the back of the stencil so the sand can cut it once it is in the sandblaster. The headstone is placed on the workbench and stencil filler is applied to the front surface. The mat is then placed on the front of the headstone and is held in place by the stencil filler. The monument is then placed into the sandblasting cabinet, which will then propel the sand against all surfaces which are exposed and not covered by the mat. Once all the designs and lettering are at the same depth, the monument is removed from the cabinet. At this point, a specialist hand shapes using abrasive air to create a smoother look to the lettering and to add additional detail which the machine is not capable of. The remainder of the stencil is then removed and the stone is cleaned to reveal the finished headstone. If an even higher level of contrast is desired, color can be added to the deepest areas of the designs and lettering. What color granite can be sandblasted? Any color of granite can be sandblasted. However, when sandblasting an extremely light color of granite, such as white pearl, it is necessary to add color in order to ensure the design and lettering are visible. This is because the polished and unpolished surfaces of such light color granite are so similar that additional contrast is needed. The laser etching process removes the polished surface of the granite using a high powered laser to show the unpolished granite beneath in varying depths to create the image. You can think of the laser etching machine as a big printer, since the majority of the work is done on a computer and then sent to the laser for “printing”. In order to produce a granite etching, it must first be designed by a graphic artist. The artist will use photo editing software such as Adobe Photoshop to create a BMP file containing the lettering, designs, & photos that are to be laser etched on the monument. Designs and photos must be carefully enhanced by the graphic artist so fine details such as the outline of a nose or teeth are visible in the granite engraving or marble etching. The white and gray areas of the design are where the laser etches and the black areas are where no etching occurs and the black granite remains. This is why when a photo of someone with black or brown hair is etched a lighter background or soft glow outline around them is required to show where their hair starts and the background begins. The rest of the process involves the laser only. This process makes permanent photos on headstones possible. What colors can be laser etched? Darker colors of granite are the best colors to laser etch because the darker colors create a better contrast between the gravestone and the image and bring out the most detail in pictures. Essentially, laser etching is likened to creating a grey-scale image that is emblazoned on the surface of the headstone. Grey-scale images work best against a dark background. With lighter shades of granite (such as beige), the colors barely bring out enough detail to discern the image from the granite. While lighter color granites do polish to a slightly darker tone, it does not bring out the breadth of detail that darker granites (such as black) do. 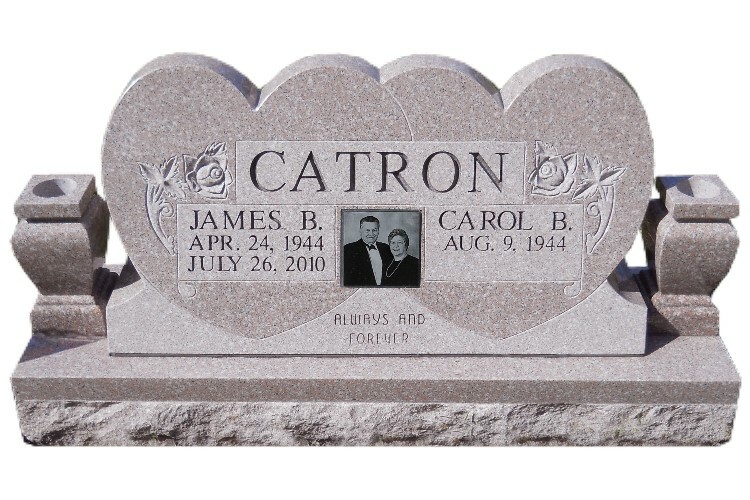 Grey colored granite can be etched if it has a nice, even polished finish on the surface of the gravestone, but it also depends upon the type of etching that needs to be done. Sometimes people choose to etch symbols and grave details into their gravestone markers, which is perfectly fine. However, most people will choose to etch very beautiful digital pictures of their loved ones or even photographs of hobbies or activities they enjoyed doing while alive. For example, if you’re loved one enjoyed fishing, an appropriate laser etch could include a photograph of your loved one fishing or a scenic image of their favorite fishing spot. Laser etching adds a beautiful finish to the gravestone and a unique twist on the traditional concept of memorial designs. 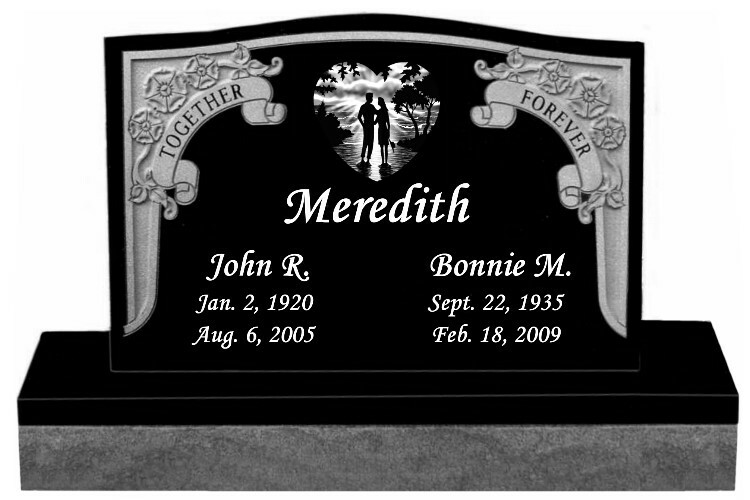 By selecting laser etching, you’re creating a distinct, creative headstone for your loved one’s legacy. 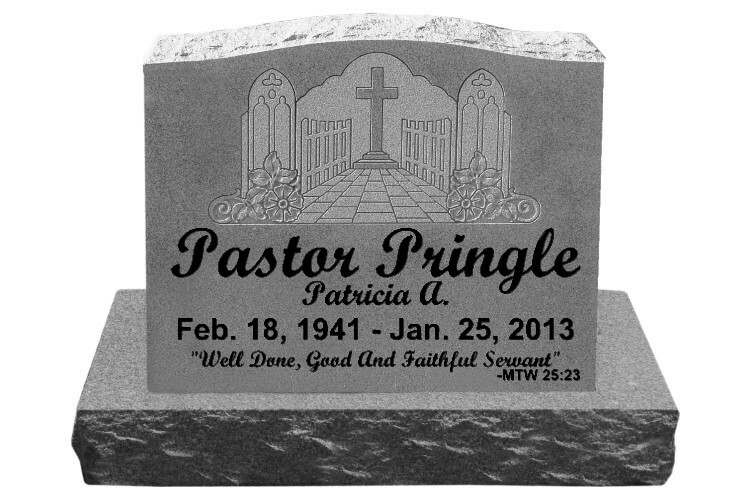 What options do I have if I want light colored granite but would still like a picture of my loved one included in the design? Do not be discouraged! It is extremely common for our clients to request that a picture be added to a light colored monument. We have two options for doing so, and both are beautiful. The first option is to add a porcelain portrait to the design. Our Porcelain Portraits are created using the highest quality of 100% Italian Porcelain. We can use nearly any picture you would like, so long as the quality is good enough. The image can be done in color or in black and white and we can even edit out a background or a random hand or object that has appeared in the image. When ordering a Porcelain Portrait with a monument, we will inlay the porcelain into the monument so that it sits flush with the granite. The Porcelain Portraits have a lifetime guarantee and are guaranteed to not fade or crack when exposed to the elements for hundreds of years. The other option for including an image on a light colored monument would be to add a Laser Etched Marble Portrait. These portraits are Laser Etched onto high quality marble and can also be inlaid into the monument in order to lay flush with the granite. Again, we can edit the image if you would like the background or an object removed. However, just like a laser etched monument, the final product would be a black and white image. If you would prefer the black and white, the Laser Etched Portraits are a perfect option for you and they are also guaranteed not to fade or crack! Can I do a combination of both laser etching and sandblasting? Yes! We have created many designs which included both laser etching and sandblasting. These monuments were typically dark colored granite, as the laser etching cannot be done on a light colored granite. Each monument we design is completely customized using the information you provide us. If you would like to include both laser etching and sandblasting aspects into your design, all you need to do is let us know. Once we have an understanding of the desired outcome, we will review the options with you. Contact us at 877-836-0332 or by email at info@mlestones.com! The official definition of “gravestone” is ‘a stone placed on a burial plot which is often inscribed in order to mark the person or persons who are buried there’. Gravestones can also be known as grave markers, headstones, and tombstones, and more recently monuments and memorials. 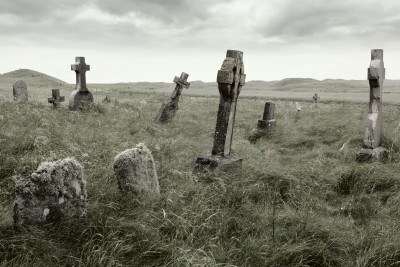 In earlier times, there were no community cemeteries such as there are today. 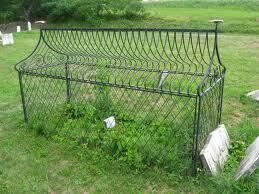 Rather, people had burial plots near their family homes. These can still be seen today and are even still used by some families, so long as they still own the ancestral land. 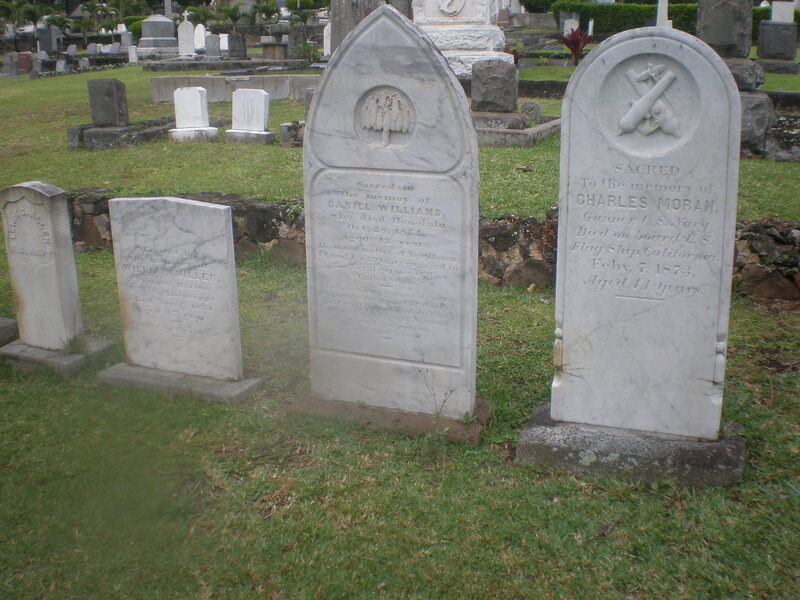 Visiting these small family cemeteries allows one to see the evolution of gravestones. The term gravestone emerged from a Jewish custom in which the visitors to a grave used to place stones at the head as a way to honor the deceased. This custom, in turn, was inspired from an incident wherein a Jew broke the Sabbath in order to write a note so as solve a crime. Later, he felt guilty for the act, even though it was necessary. After thorough contemplation of the incident, he decided that his grave should be ‘stoned’ after his death. So, the tradition of placing stones on a grave became popular thereafter. The earlier graves were usually marked with rough stones, rocks, or wood. These items were placed on top of the grave apparently as a way to keep the dead from rising. Typically even the wooden markers would be inscribed with the deceased’s name, age and year of death. However, some only included a name, while others were not inscribed at all. As churchyard burials gradually evolved, large, square-shaped tombstones prepared from slate (1650-1900) or sandstone (1650-1890) replaced the random rocks or wood used previously. The inscriptions carved on slate used to be shallow yet readable. Many of the slate gravestones are now unreadable due to the elements wearing the rock down until it was even with the shallow inscriptions. As public cemeteries evolved in the 19th century, people started giving importance to the gravestones, headstones, footstones, etc. as a means to memorialize the dead. Thus, they started engraving the headstones with a small epitaph or a few words about the deceased. Some of the deceased would even instruct those who would survive them of what exactly they wished to be included on their gravestone. In addition, they bore the identifying details that had been included on the original gravestones: the date of birth, the date of death and the full name of the departed. The greatest advantage of this tradition is that by reading the inscription on a gravestone, one can derive information which is vital to tracing his or her family history. Unlike these symbols, which showed a respect and anticipation for death, most tombstone symbols from the Colonial period reflected fear of afterlife as they believed that only a few people would be allowed in the Heaven after death and the rest would be categorized as sinners. Interestingly, in the 18th century, there emerged a short-lived burial practice of covering the graves with iron cages known as mortsafes. While there are many theories as to why this practice began, there is no real explanation. Most historians agree that fear of the departed returning to them as a vampire was likely a motivator for the placement of the mortsafes. This strange practice, though, died out by the end of the Victorian era. The most popular materials for gravestones during this era were marble (1780-1930), granite (1860-untill date), iron, and wood. Earlier, gravestones were used only by the middle and upper classes. However, after the emergence of the new Protestant theology, even lower classes started using grave markers for commemorating the life of the departed loved. Today, there are a large variety of gravestones one can choose from, although nearly every one is made of granite. Some cemeteries place strict limitations as to what type of gravestone can be placed in the cemetery. Typically, these limitations and restrictions are put in place for one of two reasons. Cemeteries which only allow flush markers to be installed do so in order to prevent the ground keeper from having to mow around each individual gravestone. With the flush markers, they can simply ride right over top of the gravestone, rather than having to mow and then use a weed eater. The cemeteries which are affiliated with religious organizations will often have limitations as well. Specifically with a Catholic cemetery, there are often only a few symbols allowed on a gravestone. These symbols will normally include a specific cross, praying hands, rosaries and other religious symbols. 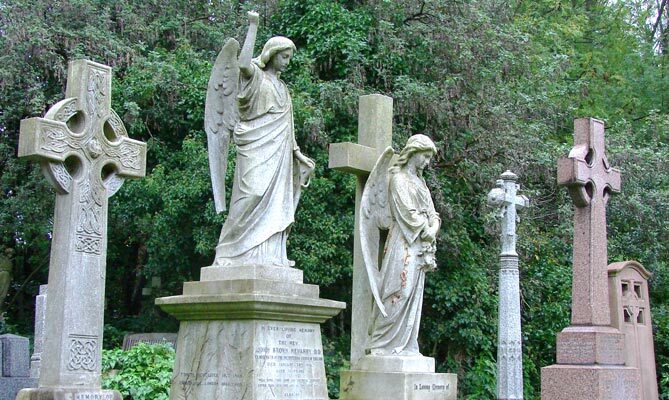 Typically, if a gravestone is installed with symbols which are not approved, the owner of the plot will be forced to remove the gravestone and replace it with one which meets the requirements. However, if a gravestone is being placed in a family cemetery or a cemetery which does not have limitations, there are thousands of options as to what can be installed on the burial plot. Not only are there different shapes and sizes of monuments, there are a huge variety of colors as well. With the introduction of lasers, a photo can now be duplicated onto a gravestone, so that the deceased’s image will be forever remembered. 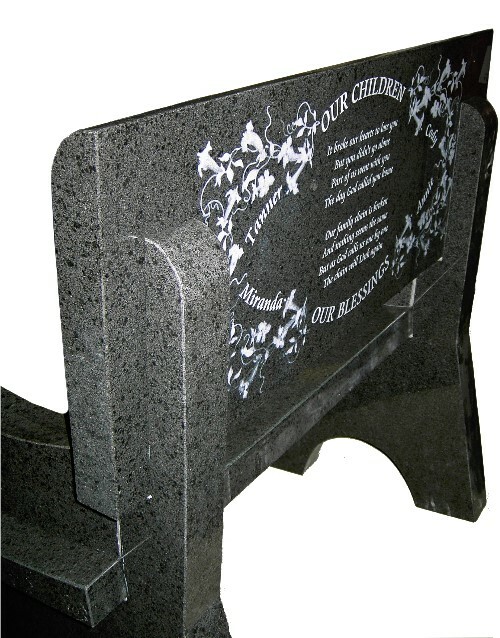 Any poem or symbol can be laser etched or sandblasted onto the gravestone. A custom design can also be ordered from a manufacturer if one finds a monument company who deals directly with the manufacturer. Anything from a guitar to a butterfly can be seen in cemeteries. It’s amazing how far gravestones have come since the 1500’s! Where do you think we’ll be in another 100 years? How will gravestones change will technology evolving so quickly? Let us know what you think!